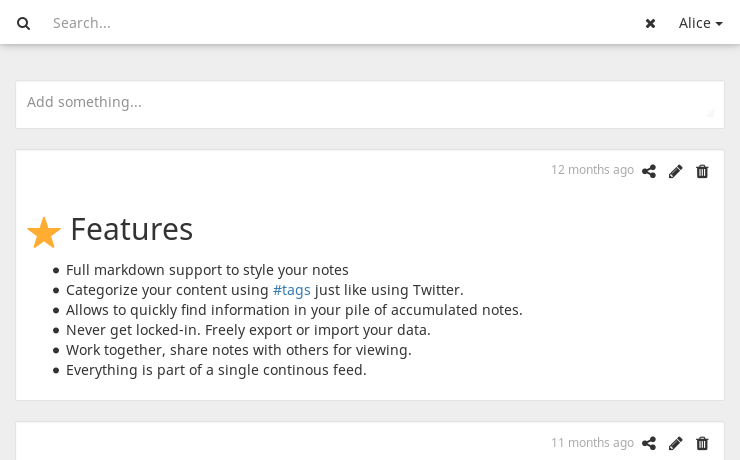 Quickly filter and search for notes using categories based on hash tags. Additional full text search allows to find notes, even without tagging and never lose an idea again. 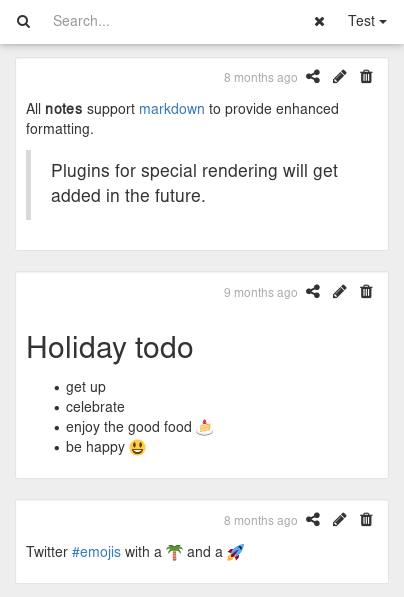 Full markdown support to style your notes. Categorize your content using #tags just like using Twitter. Allows to quickly find information in your pile of accumulated notes. Never get locked-in. Freely export or import your data. Work together, share notes with others and even follow public feeds. Everything is part of a single continous feed. Have you ever dreamed of storing all your thoughts and ideas in one safe place? Forget about handwritten notes and bulky lists. Meemo simplifies your life by capturing what's on your mind. From short lists, ideas, links, inspiration, to lengthy research, pictures and memories. Easily gather everything which matters to you. Find what you are looking for tomorrow or in many years to come, using powerful search filters and hashtags. Share thoughts and TODOs for viewing and editing. Work together and get stuff done. Let Meemo do the remembering for you!